on Wednesday I posted this picture on my Instagram & Facebook and I received so much love for my look and new hair colours. I wanted to dye my hair in these three colours for a while now but I didn't really know how I wanted it to be. At first I wanted just a few locks of hair but than I had this idea. I was taking a shower when I was wondering what if I would turn into a unicorn for a week; having unicorn hair, wearing white and leaving a trail of glitter. Since I already leave a trail of glitter everywhere I go I went like why not? So I ordered from the brand Directions three colours, 'Flamingo Pink', 'Lagoon blue' & 'Violet'. A bright dark pink, bright blue (which turned greenish blue) and a gorgeous purple. I washed my hair, sectioned it in small ponytails and I dyed my hair and that's it. This is a close up of the eye makeup I wore the first day I rocked this new hairstyle. 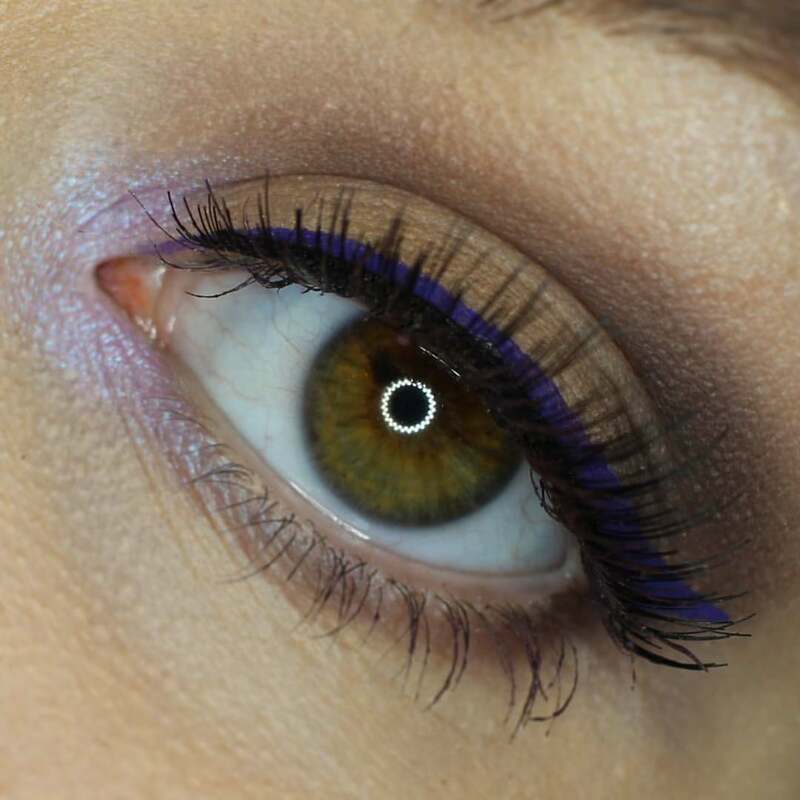 It's a simple natural eyelook with dark purple eyeliner and in the inner corner a glow of purple eyeshadow. The glow gave the whole look an extra woow factor. 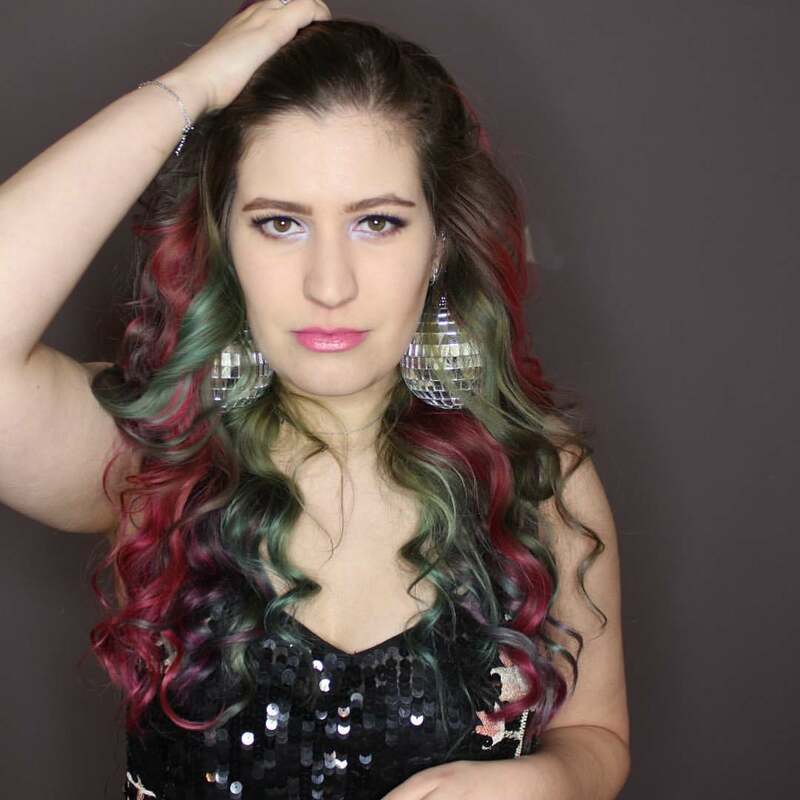 What do you think of this dark unicorn hair?